Imagine being in some of the biggest hit movies over a ten year span, and then imagine how your contemporaries are remembered fondly fifty or sixty years later. Then imagine that you are largely forgotten - and overlooked part of a hugely important era. That era being importan not only in film, but in world events. That's where Alan Ladd finds himself, or would find himself if he were still alive. His contemporaries like Humphrey Bogart, John Wayne, Robert Mitchum, and others are well remembered, but Alan Ladd? Not so much. Sure, there are classic movie fans who dig to find great movies to buy and watch, and they know the name and the movies, but for the average movie fan? Alan Ladd is a name that generally generates blank stares. 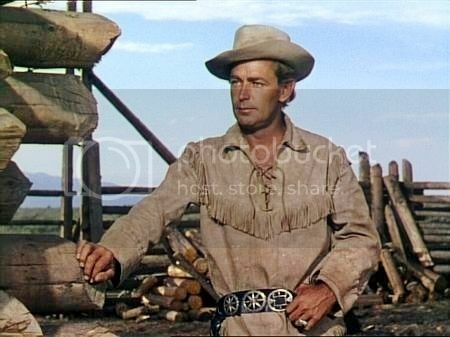 Never mind that he played one of the most iconic Western characters in all of movie history in Shane, Alan Ladd is the forgotten star of the 1940's and 1950's. His career started almost as a fluke. He was a lifeguard who became an actor and found a fairly quick rise to fame after a few bit parts led to his breakthrough role as a gunman in This Gun For Hire in 1942. That movie would pair him for the first time with Veronica Lake, who would also co-star with him two more times in two more iconic films noir, The Glass Key and The Blue Dahlia. The pairing of Ladd and Lake was box office gold, and the two of them shared great on screen chemistry. Her good looks and his cool as could be persona made for a great match, and the public loved them together. After bit parts through the 1930's Ladd found himself in one of cinema's most acclaimed movies, Citizen Kane. Unfortunately for Ladd, it was still a bit part as he played a reporter, but it was a bit part that helped get him noticed. A year later his agent landed him the role that broke him through to the big time, playing a hitman named Raven in This Gun For Hire (1942). 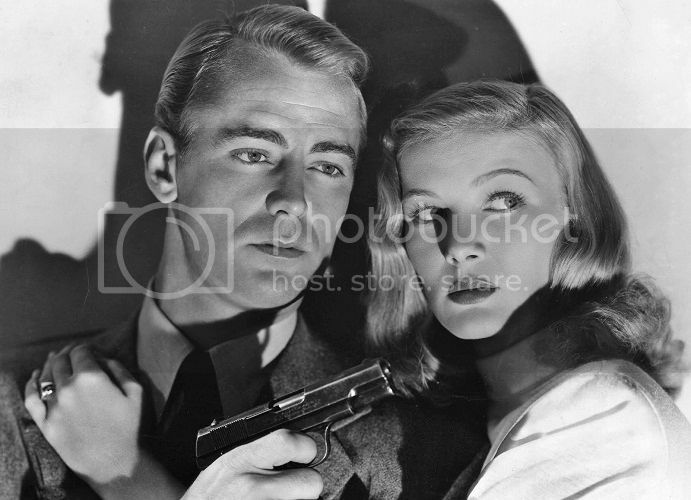 This Gun For Hire was a big hit, and the on screen chemistry between Ladd and Veronica Lake was obvious. Paramount signed Ladd to a multi-year contract and immediately put him in one of their A list productions, The Glass Key. The Glass Key would also become a big hit and would go on to be considered one of the most iconic of films noir. Even so, it wasn't until late 2012 that The Glass Key was released on DVD. The movie has a great reputation, and among Noir fans it is an iconic film, so why was there such a long wait for that movie to be relased to the home video market in a modern format? That question has befuddled Ladd's small, but loyal, group of fans for years. Ladd would become a Top Ten star at the box office in the 1940's and first half of the 1950's and movie fans of the day loved his restrained, cool style. Movies like The Glass Key and Blue Dahlia (film noir classics) were huge hits for Paramount. He was so popular at the time that he was hired to star in a weekly radio program, Box 13, which proved that Ladd wasn't just a star, but that he really could act (a fact which Ladd himself never believed; he always thought it was just luck that made him a star and he believed that his lack of acting ability - as he saw it - would cause his career to come crashing down around him). Box 13 was an excellent radio show, with Ladd playing a writer willing to do anything to get a story (not for newspapers, but for novels - he was a novelist). Ladd continued to have hit movies through the end of the 1940's and moved into Westerns near the end of the decade. Whispering Smith was the first in 1948 (a very good Western with Ladd playing an investigator), and then Ladd was in Branded in 1950, another very good Western. But it was the iconic movie Shane that catapulted Ladd from stardom to superstardom in 1953. It was the biggest hit of his career, and one of the greatest Westerns of all time. Ladd's portrayal of the title character in Shane was outstanding. He was perfect for the role, and it became not only one of the greatest and most iconic films of the Western genre, but Shane, as a character, was also one of the most iconic as well. Ladd had the world on a silver platter. It was his for the taking. But a funny thing happened on the way to immortality. Ladd and his agent decided to leave Paramount shortly before the release of Shane. He had signed a deal to make a handful of movies in England, and none of them were as good as the best of his Paramount movies. They also weren't as well distributed in the United States, dropping Ladd back down from superstar to star. As the 1950's went on Ladd and his agent continued to make poor decisions on which movies to make. Some of them were good, some passable, but none were great. None of his post Shane movies were iconic. As his career slid slowly but steadily downward, Ladd's depression and drinking increased slowly but steadily. A few years earlier Ladd had a falling out with one of his best friends, actor William Bendix. It was a falling out over a misunderstanding, but it would be years before the two would make up. This was another source of Ladd's depression, but the main source could be traced back to 1937. Ladd's career was set for a bit of a comeback as he had a strong supporting role in The Carpetbaggers in 1964. The movie would go on to be a big hit, and Ladd's performance was praised, but he never had the chance to see the success that he once again had achieved. Ladd died shortly before the film's release from an overdose of prescription drugs and alcohol. A sad end to a somewhat tormented life. Alan Ladd made several great movies and gave several great performances, but he was a star that was destined to shine brightest during his era. Humphrey Bogart and John Wayne both became even more iconic after their deaths. Robert Mitchum gained respect and admiration (not to mention fans) throughout his long career. 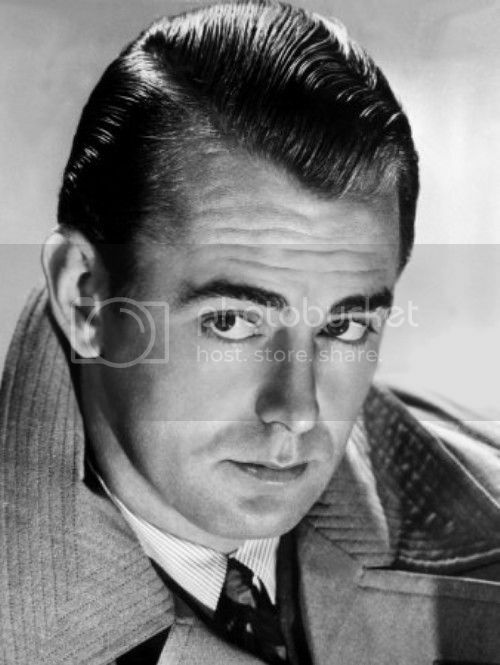 But Alan Ladd? As his movies became harder and harder to see (outside of Shane) his star faded, as he was largely forgotten by the moviegoing public. But if you look at online retailers you can find some of his movies on DVD (and even Blu ray). For a small, but loyal, group of fans Alan Ladd remains not only a star, but an actor who earned great admiration for his performances. Ladd was flat wrong. He was a damned good actor and a legitimate movie star.